New homes typically carry a one-year builder's warranty. Our home warranty inspection will provide you with a full home inspection report on your new home after you have lived in it for some time. It will assist in identifying any deficiencies that can be corrected under your New Home Warranty Program. A home warranty inspection can be scheduled to be performed anywhere from 30 days to before the one year anniversary of taking possession of your Kitchener, Waterloo, Cambridge, Guelph, Brantford and London area home. ​​Consider your 360 Inspection Services home inspector, a trusted advisor. Our InterNACHI and IAC2-Certified inspector will provide excellent communication and provide you with insights about all aspects of the home, helping you to be an informed customer. Getting us to perform a home warranty inspection is just the start of a long-term commitment we make to all of our Kitchener, Waterloo, Cambridge, Guelph, Brantford and London​ clients. 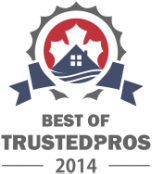 360 Inspection Services is dedicated to delivering the best new home warranty inspections throughout Kitchener, Waterloo, Cambridge, Guelph, Brantford and London.